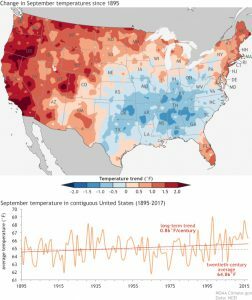 Climate.gov has a new article posted describing how September’s climate is changing across the US. You probably would not be surprised to know that it is not changing the same everywhere across the country. But you might be surprised to know that in most of the Southeast except for Florida, it’s gotten cooler over the last 100 plus years. Why? Most likely increased precipitation in September has helped keep temperatures cooler than they might have been otherwise. 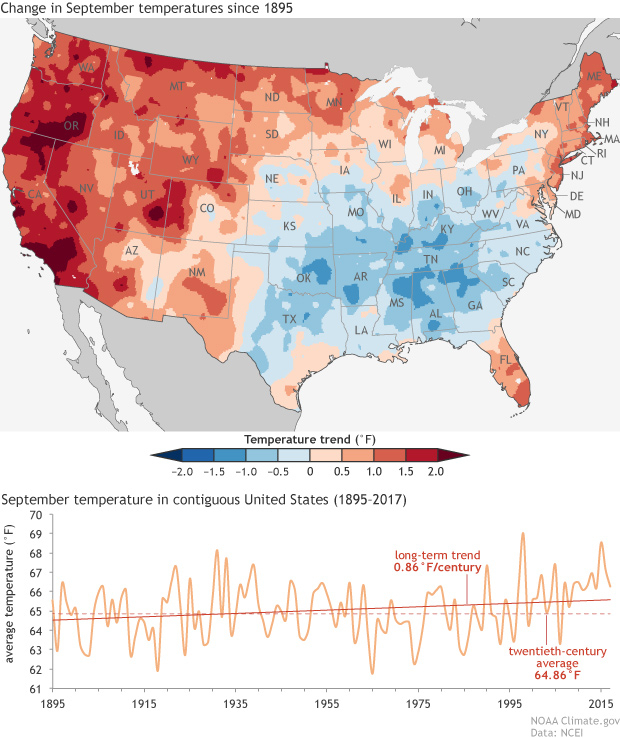 You can read more at https://www.climate.gov/news-features/featured-images/how-september-climate-changing-us#. Posted in Climate and Ag in the news, Climate science, Climate summaries. Bookmark the permalink.